After the exposure of various surveillance programs, including PRISM, XKeyscore, MUSCULAR, DROPOUTJEEP in recent revelation, NSA has come up as the only ‘Government that Actually Listen’. Another day and here comes another revelation - According to the The Guardian, National Security Agency (NSA) has collected almost 200 million text messages per day from across the globe and is using them to extract data including location, contact networks and even credit card details. The two names that come in the limelight are, DISHFIRE that collects “pretty much everything it can”and PREFER that conducted automated analysis of the untargeted communications. The program was designed to collect the text messages automatically from various service providers, to pull the details of financial transactions, roaming charges, delayed flights, missed calls and scheduled alerts, address book contacts, credit cards, bank accounts and visited locations. 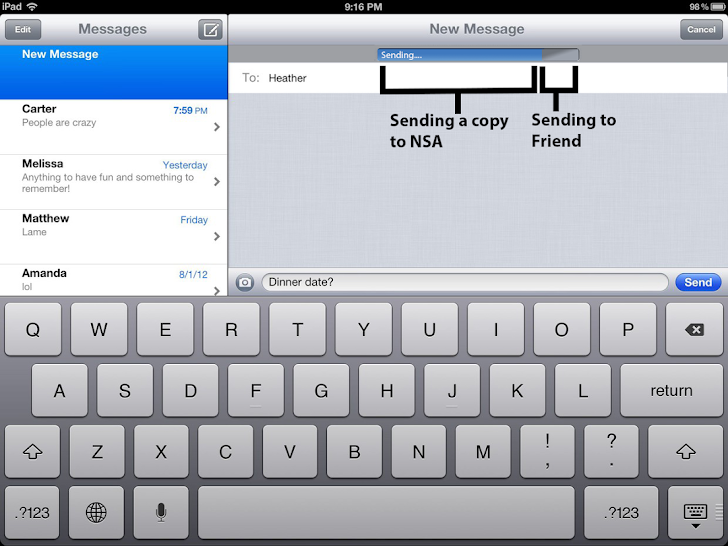 Now If I am not wrong the word ‘Untargeted’ precisely mean that the NSA is literally just nabbing up whatever it can. The untargeted data collected in a day was apparently so large that it needs to be analyzed automatically. So the NSA came up with another program called “PREFER” as an automated tool to scan the data. The documents describe this data as “content-derived metadata”, and explains that “such gems are not in current metadata stores and would enhance current analytics”. 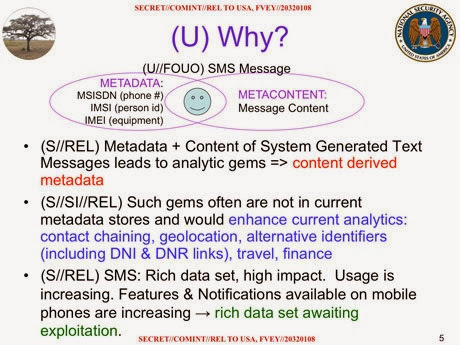 According to the report, British Spy agency GCHQ was given access by the NSA to search the collected "metadata" of “untargeted and unwarranted” communication i.e. 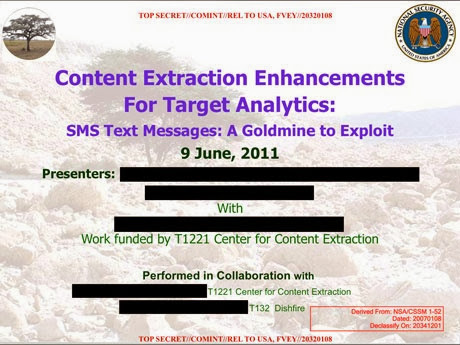 The information about the text messages was given, but not the actual contents of British citizens. The revelation comes a day before U.S. President Barack Obama is scheduled to announce reforms to NSA programs, prompted by disclosures from Snowden. The President will speak to the issue on Friday. We will post the updates, as available. Stay tuned to #THN.